Three Short Films: Restaurant Dogs (1995); Castello Cavalcanti (2013); Idem Paris (2013). This edition of my short reviews on short films features works by acclaimed filmmakers Eli Roth, Wes Anderson and David Lynch. Watching long-form films by these auteurs is a great way to get to know their style, but it’s also interesting to see how these iconic creatives condense their aesthetic, preferred themes and directorial style down into films that are around ten minutes or less in length. Eli Roth is one of those filmmakers where I am really interested in his point of view, but I haven’t seen many of his films. Restaurant Dogs is a student film of his from 1995, which was only ever shown at the Museum of Modern Art in New York City for a student film festival, and has only recently appeared on Facebook. This short film is amazingly weird. It tells the story of a young man who just wants a milkshake, and is then set off on a quest to defeat the McDonald’s overlords who are preventing him from imbibing said milkshake. It is cartoonishly violent and includes segments of crude, paper-cut and crayon-coloured animation – all nested within a comfortable homage to Quentin Tarantino’s Reservoir Dogs (1992). I love this because it is so strange. There is literally no other film where you’ll see Mayor McCheese (of the early McDonald’s food characters era) overdubbed with a speech by Adolf Hitler. It’s definitely not for everyone, but this type of crazy stuff is totally up my street. 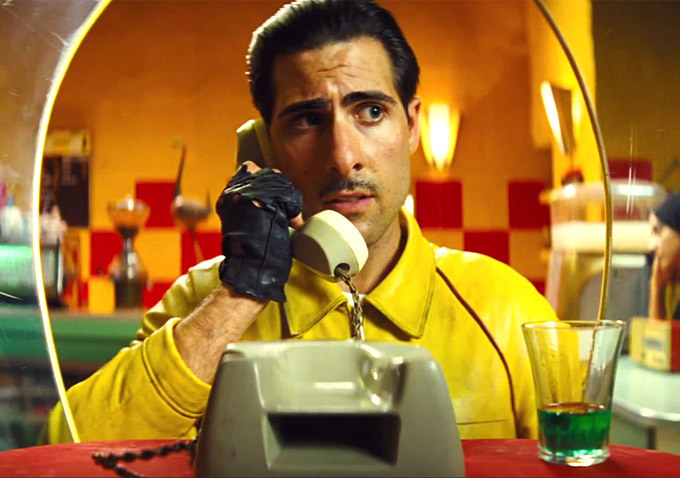 In 1955, an unsuccessful American racecar driver (Jason Schwartzman) crashes his car in the village square of Castello Cavalcanti in Italy, and accidentally discovers that he is in his own ancestral homeland. Directed by Wes Anderson, this is the most Wes Anderson-y short film you could ever get. Thoughtful production design and bright colours make it a treat for the eyes, and the visual allusions to classic Italian cinema delights those who are on the lookout for it. The story is simple and feels like the snapshot of a scene within a larger film, but also works as a little standalone story. This film just feels comfortable to watch. The Wes Anderson vibes are familiar, the music wraps around you like a warm hug, and the story and its humour is not too complex, but is intriguing enough to string you along. Thoroughly enjoyable. Described as “virtually wordless”, Idem Paris is a film about lithography from the mind and viewpoint of director David Lynch. There is no dialogue in this short film except for muffled French in the background. It almost reminded me of Lynch’s Eraserhead (1977) filmed in high contrast black and white, and where all of the noises of the machine sound exaggerated, as if they have become the dialogue and the machine is telling its own story. 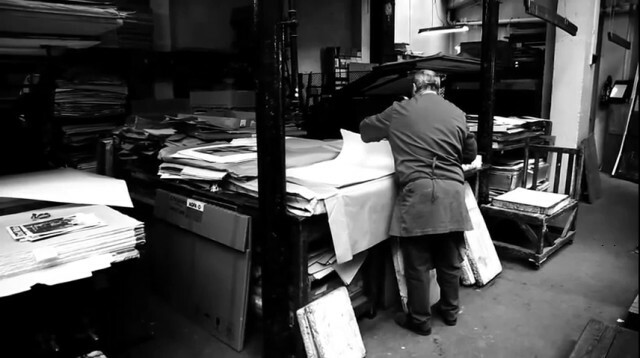 This short film is initially a tough watch due to its lack of dialogue and story, and focus on just the lithography machine making its noises and the printing process occurring without any real explanation as to how it is done. But when you look at it from the point of view where the machine is ‘talking’, and where you’re just observing the lithography process as it occurs, it almost puts you into a calm, zen state. Lynch’s minimalism in this short film, as well as his off-kilter camera angles, has created a short of character piece on the machine. It’s a strange way to look at it, but it’s an interesting one indeed. These all sound very interesting, especially given that these are well known directors with established styles. Great post! Thanks heaps Wendell! It’s so interesting to see how directors like these make use of such little time. Great stuff there, Anna! I love all three directors and these shorties seems to be exactly my cup of tea. Thanks heaps Reut, I hope you enjoy them if you end up seeking them out! I think all of them are floating about the Internet somewhere! Definitely worth a Google. I’ll have to give these a watch as they all sound pretty good. Cheers! Enjoy! The best thing about short films is that even if you don’t enjoy it, it’s only a couple of minutes long so not too much time wasted.